In new unused condition, and complete with Hardy zipped pouch, box and instructions. The Bougle Heritage Fly Reel is fully designed and hand built right here in the UK, celebrating 110 years since the first Bougle was introduced. 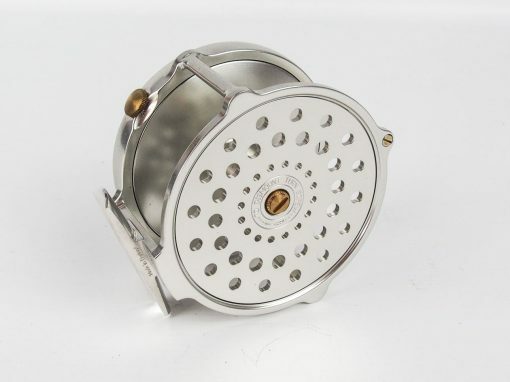 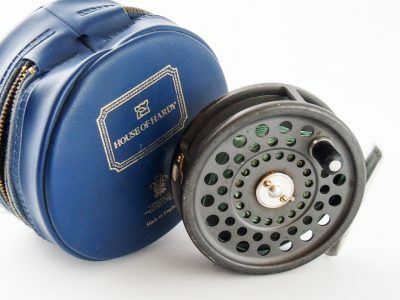 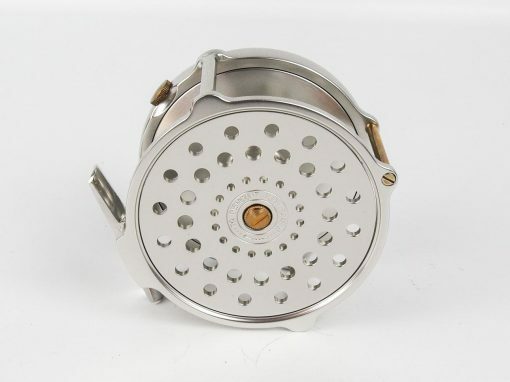 The first Hardy Bougle reel was catalogued in 1903, and was, as it remains to this day, a variation on the famous Hardy Perfect reel. 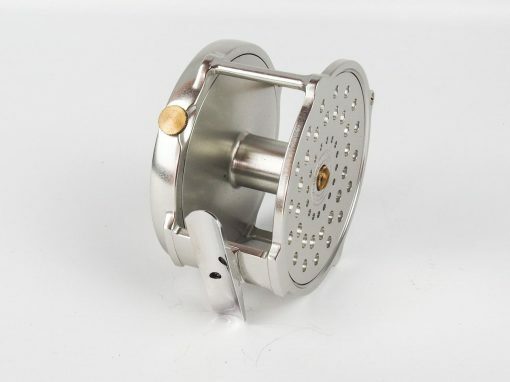 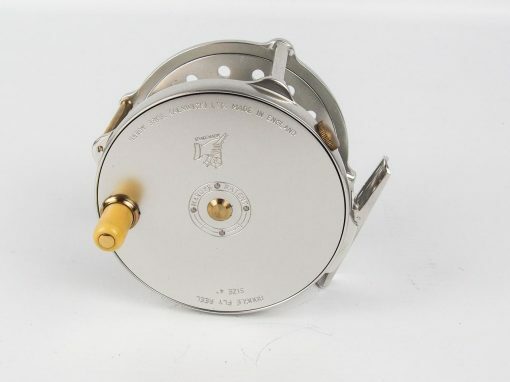 The variation was initially requested by Frenchman Louis Bougle, an extremely knowledgeable fisherman and tournament caster who requested that Hardy produce a reel with a good line capacity which remained light enough to balance rods between 4 1/2oz and 8oz. 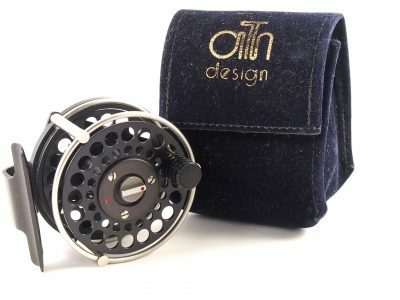 From this initial request, the Bougle reel has gone from strength to strength and become one of the most famous reels in angling history. 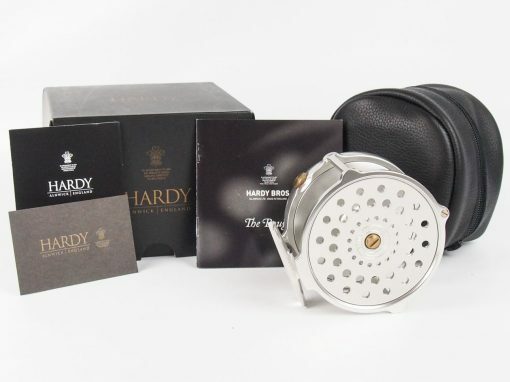 Now, 110 years later, Hardy are proud to offer a new variant of the Bougle reel featuring a rolling pillar, reversible click check, naval brass bush and spindle and sports a hand polished, deep anodised pearl silver’ finish. Put simply, this Bougle reel is sure to become one of the classics. 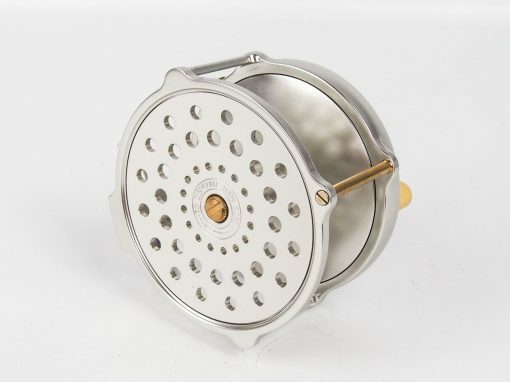 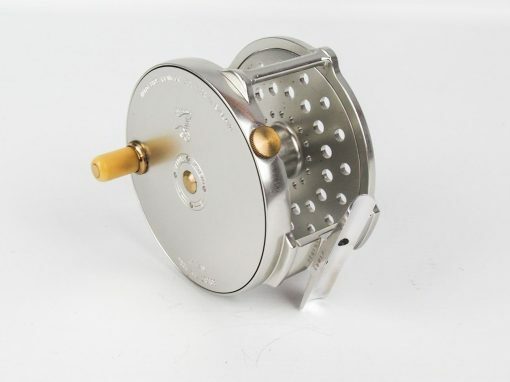 The Bougle Heritage reel comes presented in a beautiful, British made, soft leather, sheepskin lined reel case, and is available in a range of sizes.